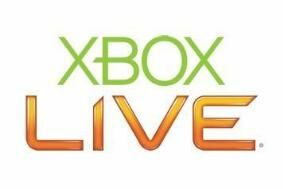 E3 2009: Streaming 1080p HD video with 5.1 sound comes to Xbox Live | What Hi-Fi? The latest development will see Xbox 360 owners able to stream 1080p HD video content, complete with surround sound, using the Zune video service. Due out this Autumn, a 'broad selection of movies and TV shows from Zune video on Xbox 360 will be available to start and stream instantly, in the highest video quality at the push of a button'. The devil is in the detail here though, as Microsoft says video playback will be 'as close to instantaneous as possible by seamlessly transitioning between many different bitrates and resolutions of video'. So if you want content instantly, it won't be in 1080p from the off. But we'rer reliably informed that you will be able to buffer the content in order to get 1080p quality from start to finish. Xbox Live is also adding ten new markets this autumn. Austria, Australia, Belgium, Denmark, Finland, Netherlands, New Zealand, Norway, Sweden, and Switzerland will be joining the current roster of eight.